Recently, my trusty leather Bellroy wallet had been showing heavy signs of wear. Despite being my first minimalist wallet, it had began to swell with various payment, reward, and business cards. After less than three years, the leather had stretched and lost its original shape and was taking up too space in my pocket. That's when I began researching the Ridge Wallet. All models come equipped with RFID protection and hold up to 12 cards. The cards are held in place by an elastic band that is user-replaceable. The tools required to replace the band are included with the initial purchase and are housed with the wallet in a beautiful gift box. After carrying the Aluminum Ridge Wallet (Gunmetal) for about a month, I can say it has definitely made a huge difference in negating the bulkiness of a traditional leather wallet. I was initially concerned about silly things like passing through a metal detector at concerts, sporting events, and the airport, but I haven't had any problems. 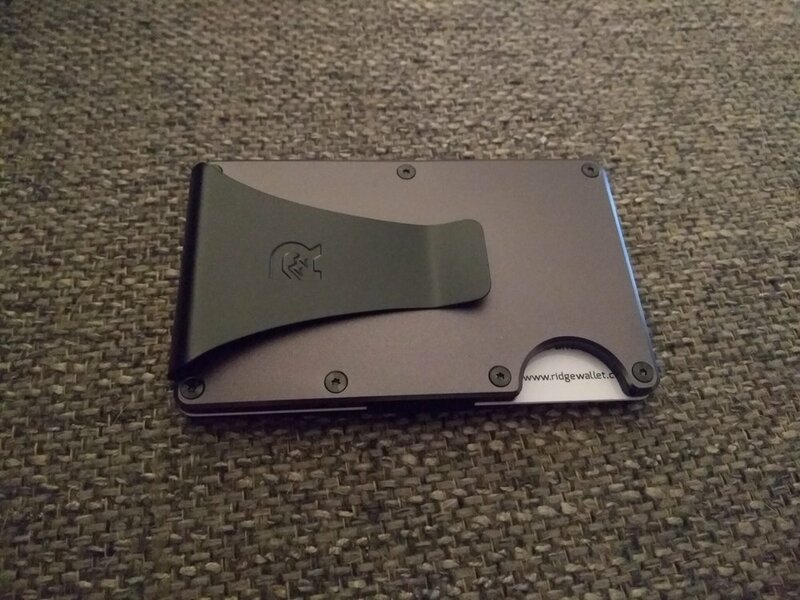 As it turns out, the money clip works great and everything stays clean and tidy. 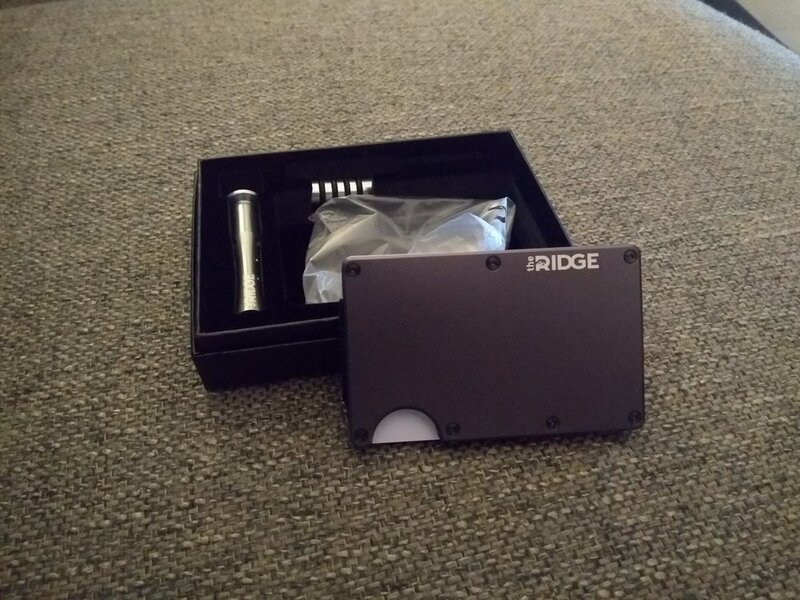 I ended up following several suggestions I saw online about folding all physical currency 3 times vs the 4 shown on the Ridge Wallet's homepage. By folding the bills 3 times, you can hold more cash and it is just easier to manage. The biggest challenge with the wallet is accessing the center cards. An instructional card came with the wallet that gives tips about pinching the wallet open to fan the cards. I found that it took a few weeks for me to wear in the elastic in order to do this comfortably. 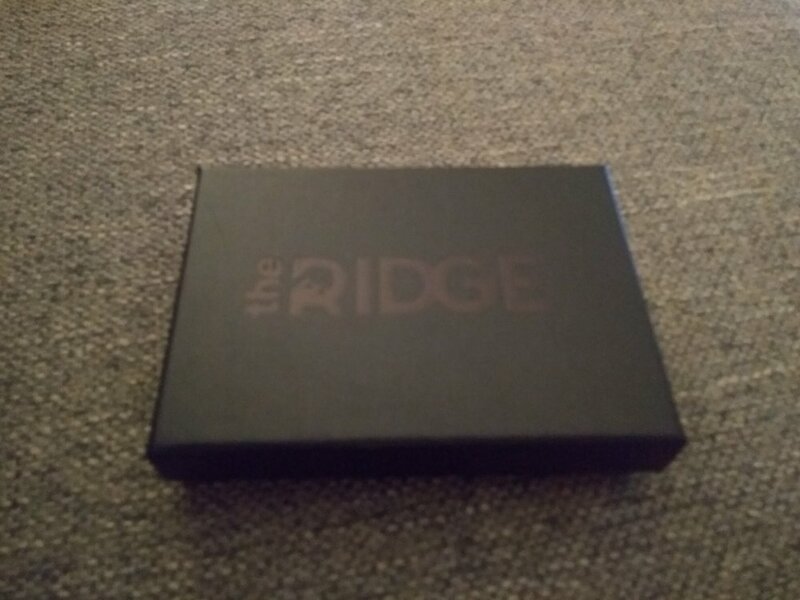 If you're looking for a great Father's Day gift for the minimalist guy in your life, consider giving the Ridge Wallet. It's a quality product that feels like it will be the last wallet I will ever have to buy. If you're interested, please use this link to receive 15% off your purchase for a limited time.